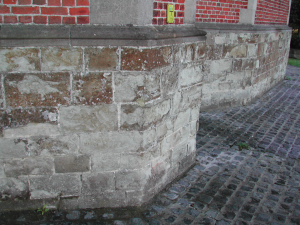 Rising damp is a recurrent hazard to ancient buildings in Europe and its relevance is expected to increase in the future, due to climate changes. The presence of rising damp in walls does not only create an unpleasant climate in buildings, but it also enhances damage processes as frost action, salt crystallization and biological growth, with possible consequences on the health of the inhabitants. intervention on a sound basis. The aims of this project are to come to a scientifically based evaluation of the effectiveness of different methods against rising damp and to a define decision support tool for a conscious choice and successful use of these methods in the practice of conservation. These aims will be achieved by sharing the knowledge, until now diffused over EU, and by acquiring new knowledge through the application of selected methods in case studies. The co-operation between research institutes, conservation authorities and SMEs guarantees: (i) easy access to documentation on case studies, (ii) independent and scientifically based evaluation of interventions, and (iii) successful dissemination of results.